Solar wind flowing from the indicated coronal hole should reach Earth on Oct 9. Credit: SDO/AIA. 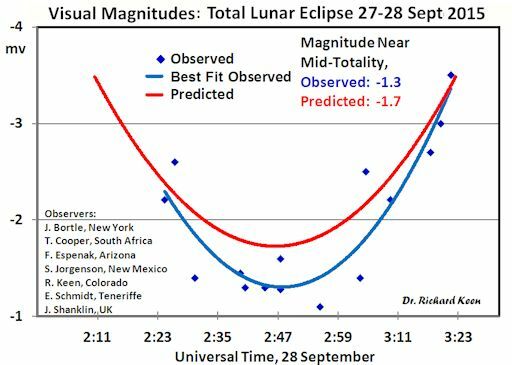 Atmospheric scientist Richard Keen of the University of Colorado explains: "Lunar eclipses tell us a lot about the transparency of Earth's atmosphere. When the stratosphere is clogged with volcanic ash and other aerosols, lunar eclipses tend to be dark red. 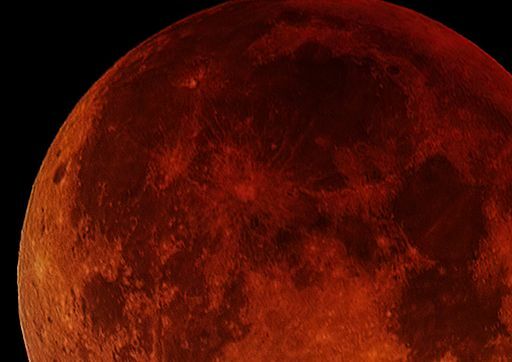 On the other hand, when the stratosphere is relatively clear, lunar eclipses are bright orange." This is important because the stratosphere affects climate; a clear stratosphere 'lets the sunshine in' to warm the Earth below. At a 2008 SORCE conference Keen reported that "The lunar eclipse record indicates a clear stratosphere over the past decade, and that this has contributed about 0.2 degrees to recent warming." What happened? "There is a layer of volcanic aerosols in the lower stratosphere," says Steve Albers of NOAA. "It comes from Chile's Calbuco volcano, which erupted in April 2015. 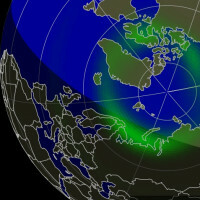 Six months later, we are still seeing the effects of this material on sunsets in both hemispheres--and it appears to have affected the eclipse as well." 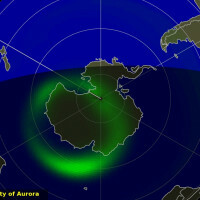 Volcanic dust in the stratosphere tends to reflect sunlight, thus cooling the Earth below. "In terms of climate, Calbuco's optical thickness of 0.01 corresponds to a 'climate forcing' of 0.2 Watts/m2, or a global cooling of 0.04 degrees C," says Keen, who emphasizes that this is a very small amount of cooling. For comparison, the eruption of Pinatubo in 1991 produced 0.6 C of cooling and rare July snows at Keen's mountain home in Colorado. "I do not anticipate a 'year without a summer' from this one!" he says. "It will probably be completely overwhelmed by the warming effects of El Nino now underway in the Pacific." This lunar eclipse has allowed Keen measure the smallest amount of volcanic exhaust, and the smallest amount of resultant "global cooling" of all his measurements to date. And that is saying something considering that he has been monitoring lunar eclipses for decades. "This is indeed the smallest volcanic eruption I've ever detected," says Keen. "It gives me a better idea of the detection capabilities of the system (eclipses plus human observers), so when I go back into the 1800s I can hope to find similarly smallish eruptions in the historical record." 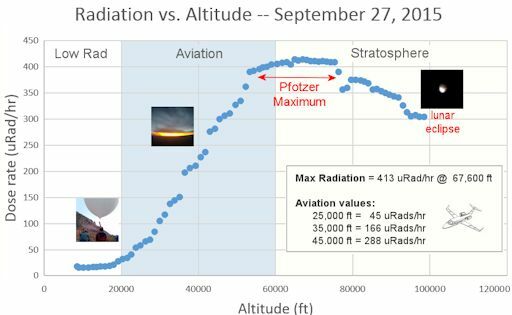 Compare this plot of radiation vs. altitude to a similar plot recorded in broad daylight only a few days earlier. They are almost identical. Radiation levels in the stratosphere matched at the 1% level. Radiation levels at aviation altitudes (where planes fly) agreed within about 3%. Night and day were the same. This simple experiment highlights something that is already well known to researchers. Cosmic rays in Earth's atmosphere come mainly from deep space. They are accelerated toward Earth by supernovas, colliding neutron stars, and other violent events in the Milky Way. 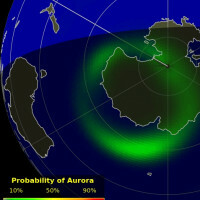 Flying at night is no safeguard against these energetic particles because they are everpresent, coming at us from all directions, day and night. Happy Birthday to Autumn! 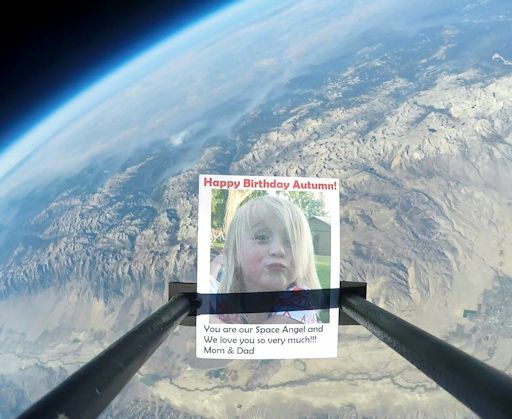 She will be watching a complete video of the flight when she turns 4 on Oct. 10th. Readers, if you would like to support a research flight and send your birthday card, business logo, or other photo along for the ride, it only costs $500. Contact Dr. Tony Phillips to make arrangements. 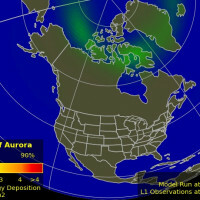 On Oct. 6, 2015, the network reported 9 fireballs. On October 6, 2015 there were potentially hazardous asteroids.